Sirius.nl is the webshop of the Dutch company Sirius. Here you will find Sirius Products, such as herbal and hallucinogenic extracts, mood supplements and sexual stimulants. In the Netherlands you can order magic truffles and mushroom growkits online at Sirius, and from many European countries you can buy cannabis seeds, CBD products, vaporizers and other supplies for your Sirius products. All Sirius Products are available in our online store and in our physical stores: the Sirius Smart Galleries. In addition, you will also find Sirius Products in other smartshops, in the Netherlands and abroad! Are you looking for a smartshop? Want to order online? And do you want to get your purchased products home delivered in a discrete package? Then Sirius is the online smartshop you are looking for. In our webshop you will find everything you need. Smart products, such as supplements, herbs, mind enhancing and sexual stimulants, CBD products, magic truffles, mushroom growkits and psilocybe cubensis spores. At Sirius you can conveniently buy everything you need for recreational and medicinal cannabis cultivation, starting from seeds. Finally, in our online smartshop you will find the tools to enjoy your products: grinders, glass bongs, all kinds of vaporizers, papers and tips. Of course, you can have a look around and discover our online smartshop. Take your time to have a look at all we have to offer. Of each product you will read exactly what you get and where you can order it. We deliver in several countries: the Netherlands, Belgium, Luxembourg, France, Germany, and many other EU countries. Besides online you are always welcome to our stores in Roermond and Maastricht. Not able to go there but having some more questions? For example, something about your products before you get started? Then contact us or educate yourself in our knowledge center. There you will find more information about the ingredients of our products, plants, vitamins, minerals, MAO inhibitors, psilocybe mushrooms, magic truffles, amino acids, neurotransmitters and other substances! 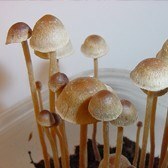 At Sirius you will find legal magic truffles with a mind-expanding and relaxing effect. These give you a great high. Do you prefer to smoke cannabis? We offer a wide range of seeds of the best quality plants. Plant them and grow your own recreational or medicinal stock. Need help? In the growshop you will find all you need, and more information. For those who are not looking for a high, but need help in treatment of physical complaints or reducing pain, we have other products. 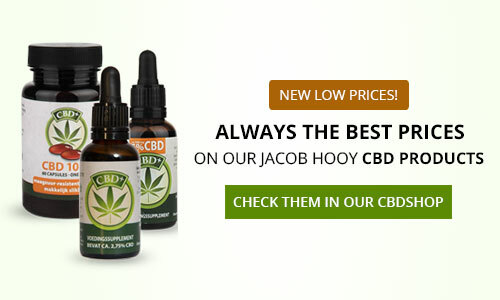 For example, CBD, a product that is now completely trending. CBD is short for cannabidiol. It is a relaxing and analgesic substance from the cannabis plant. The drug does not work psychoactively and is not addictive. 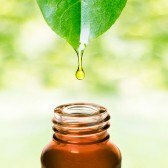 Besides relaxation and pain, studies indicate that CBD products may also have a therapeutic effect. All our smart products can be found online in the smartshop. You get everything discretely delivered at home. Do you have questions or do you want to go to a physical smartshop? Come and enjoy our Smart Galleries. You can find us at Zwartbroekstraat 35 in Roermond and at the Oude Tweebergenpoort 7A in Maastricht! We need proof of registration. After approval from us you can use the student discount. Upload a jpg, png or pdf file.